You do! Having brand advocates is essential to the success of your business. They should also be an integral part of your social media strategy. Brand advocates are more than customers – they believe in, and promote, your brand’s core values and ethics without being compensated. We all have friends who have recommended a company because they were brand advocates. These recommendations weigh more heavily in our minds than a stranger’s recommendation, or even a celebrity who’s been paid to endorse a product or service. Considering it costs 6 to 7 times more to acquire a new customer than to sell to an existing one, nurturing these brand advocates should be high on your priority list. Successful companies know how to do this as well as turn existing customers into brand advocates. In a world of instant gratification and social customer service, customers are flocking to your company’s social sites with questions and comments. If you don’t have someone managing these pages, or haven’t incorporated social customer service into your social media strategy, the results could be disastrous. Studies show that 89% of consumers have stopped doing business with a company after experiencing poor customer service and 45% of US consumers will abandon an online transaction if their questions or concerns are not addressed quickly. 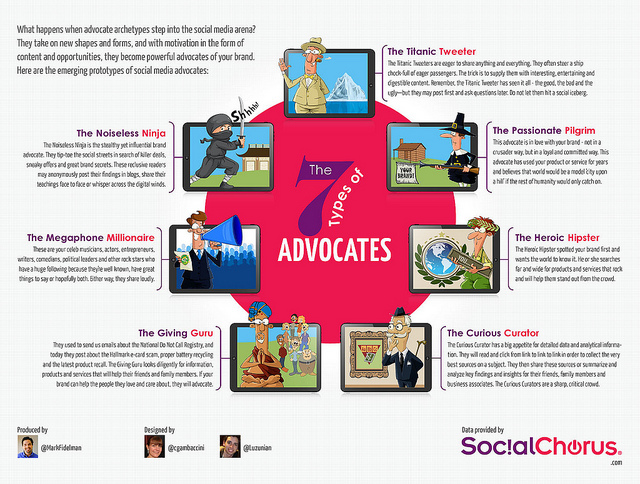 Is your company on the lookout for these brand advocates? Know how to locate and engage with them! There are many great social media listening tools out there, such as Simply Measured and Falcon Social, to help with this process. If this all sounds great but you’re not sure where to start, try social media training!